Bob Farr’s Florist LTD has been a leading full service florist in the Detroit, Michigan and surrounding area for nearly 50 years. 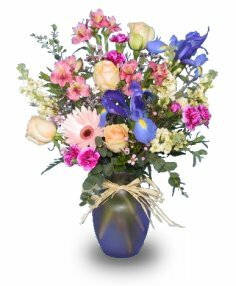 At Bob Farr’s Florist LTD, we create breathtaking floral arrangements for all occasions from funerals, weddings, parties, anniversaries, birthdays, get well, new baby or just because. We hope you enjoy your online shopping experience with secure 24-hour ordering at your fingertips. If preferred, you may call us to place orders direct at (313)-342-3333 or 1-(800)-232-2964. Serving all of the Detroit Metro area and 80 suburbs! Daily delivery to all local hospitals and funeral homes. Ask about our delicious fruit and gourmet baskets... they make the perfect gift for any occasion. We also offer a nice variety of green & blooming plants, silk flower arrangements, candy & chocolates, plush stuffed animals, balloons for all occasions and more. Whether you prefer something time-honored and traditional or something contemporary and modern, we design our arrangements with you in mind.